Russian Prime minister Dmitry Medvedev described possible response measures to the US trade restrictions, saying that they "must be well-calculated." "We will have to weigh all aspects of our cooperation with the United States," Russian Prime Minister Dmitry Medvedev said during a government report to the State Duma. The prime minister noted that the president makes the decision on cooperation, but the government needs to fulfill it. According to Medvedev, Russia is being encircled in a trade "ring" and the country cannot respond to such measures. 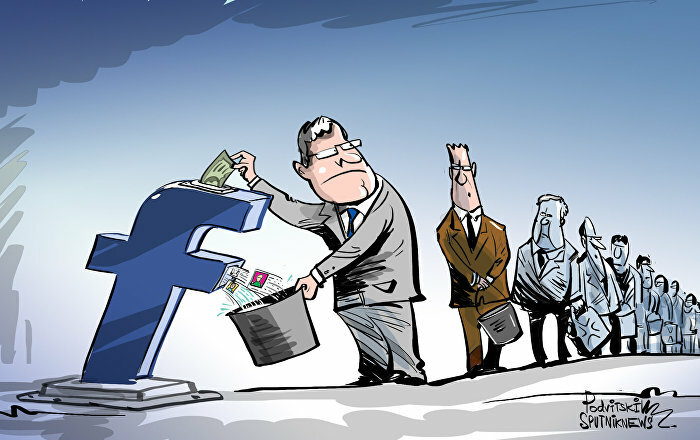 "This is not a fight with a specific representative big business. This is a struggle for markets, a fight against the largest suppliers of aluminum, non-ferrous metals, which has been deployed by American political and business circles," he emphasized. At the same time, the head of government reminded that there are many products produced in the US on the Russian market. The US, after having launched a full-fledged trade war with China, is "talking about trying to punish Russians who misbehave, serving the same dish but under a different sauce by using non-competitive ways of fighting for the economic markets," the Prime Minister stated. "As for the response measures, they, of course, must be well-calculated. They should be damaging to ourselves, they should be adequate, but nevertheless, I do not rule out that in certain areas we will have to weigh all aspects of our cooperation with the US," he stated, talking about retaliatory measures to the new US sanctions. According to Medvedev, the attempts to put pressure on Russia and the clear use of sanctions under far-fetched pretexts from the West are increasing. "In the number of these attempts, I can include the sanctions lists changing and imposing sanctions on whole branches of the Russian economy," Medvedev said. Russia may ask international trade institutions for protection from new US sanctions, Russian Prime Minister Dmitry Medvedev said. 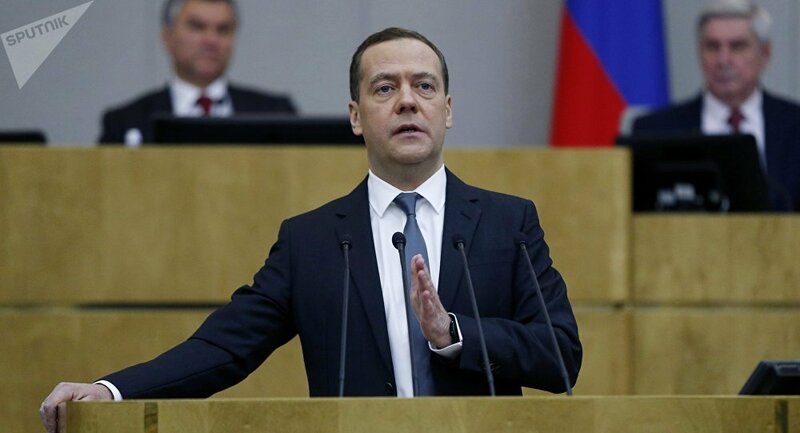 "We do not rule out the possibility of applying for protection to these trade institutions," Medvedev said in the State Duma, the lower house of Russia's parliament. Earlier, the US Treasury Department put 38 Russian businessmen, state officials and companies on its sanctions list under a pretext of Moscow's alleged "malign activity around the globe." In total, the sanctions list includes seven Russian businessmen and 17 officials.